Take a walk through LA's history and culture. See some of the city’s most treasured museums and architectural jewels in Downtown LA while you learn about its rich history and culture. 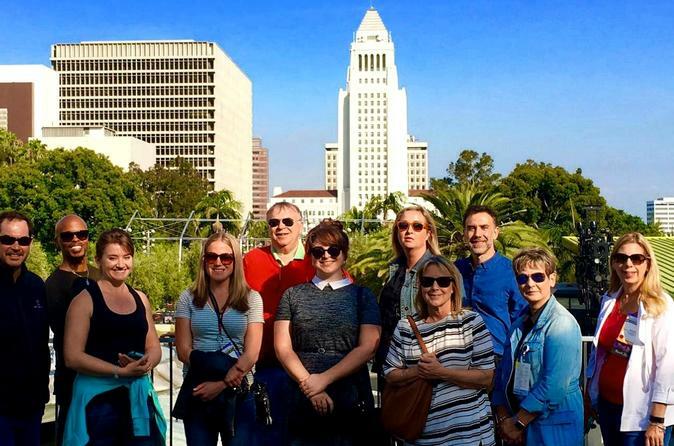 Angels Flight, The Bradbury Building, Walt Disney Concert Hall and the beautiful Union Station are among the many interesting sights you’ll see along this 2 hour walking tour. You'll be in a small group for a better experience with your guide. Start your experience off by learning about LA's public transportation. Most people picture just one thing when driving in LA: traffic jams. Few realize, however, that LA is home to a world class Metro system which you will discover throughout this tour. Come hear about the struggle between mass transit and car culture and learn about the demise of the original Red line. Experience it for yourself later in the tour when we hop on the world famous Angels Flight. Our next few stops will take us to several unique and fascinating locations: The Last Bookstore, The Bradbury Building and the Grand Central Market are all distinctly LA and shouldn't be missed. Come see where locals and travelers visit to experience world renowned symphonies and art in the notable institutions that line Grand Street: Walt Disney Concert Hall, The Music Pavilion, The Museum of Contemporary Art and Broad Museum and many more! Next we'll go to the Civic Center of LA where you will see and learn about all of the administrative functions that help bring order to this large and sprawling city. You will also hear about local legends such as former Mayor Tom Bradley and retired police chief William Parker. Next stop is the cultural hub of Downtown LA and the oldest street in Los Angeles, Olvera. Immerse yourself in the local flavor and experience first hand what pueblo life was like in LA. Learn about the namesake of this great city and come to understand how Spanish Empire helped shape this city. For our last stop, marvel at the incredible mission revival and art deco infused building that is Union Station. Learn about the history of this transit hub officially known as the Grand Central of the West. After this tour you’ll be able to impress the locals with your insider knowledge of the subway and never get stuck on the freeway again.